Klarissia and Justin have that movie, mushy gushy kinda of love that makes you just want to smile so hard your jaw hurts and then go find your person. 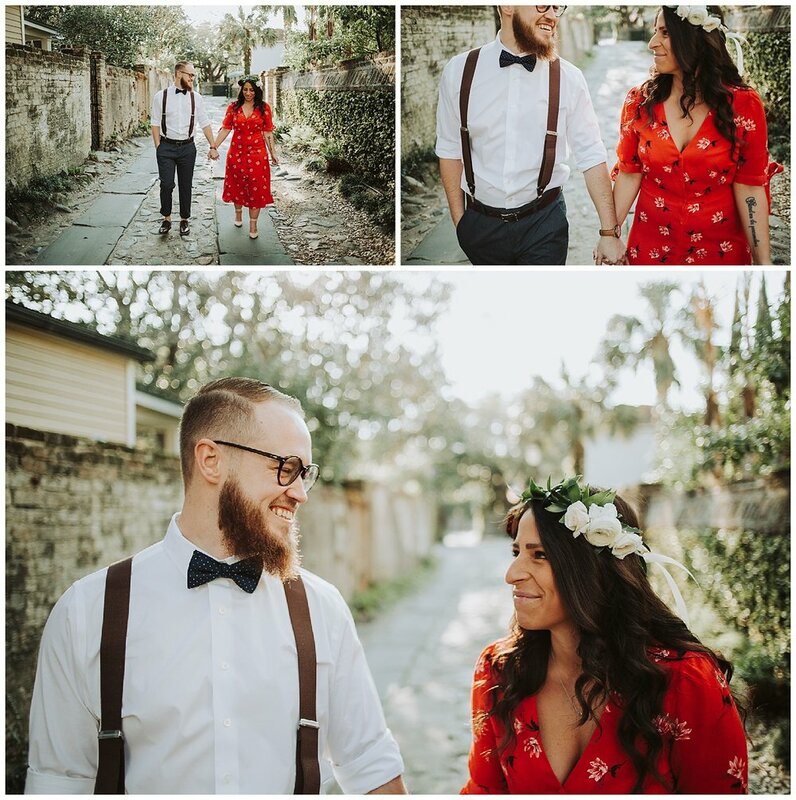 We had such a blast strolling the streets of beautiful Charleston and chatting about their big day. Here is a little bit about them. 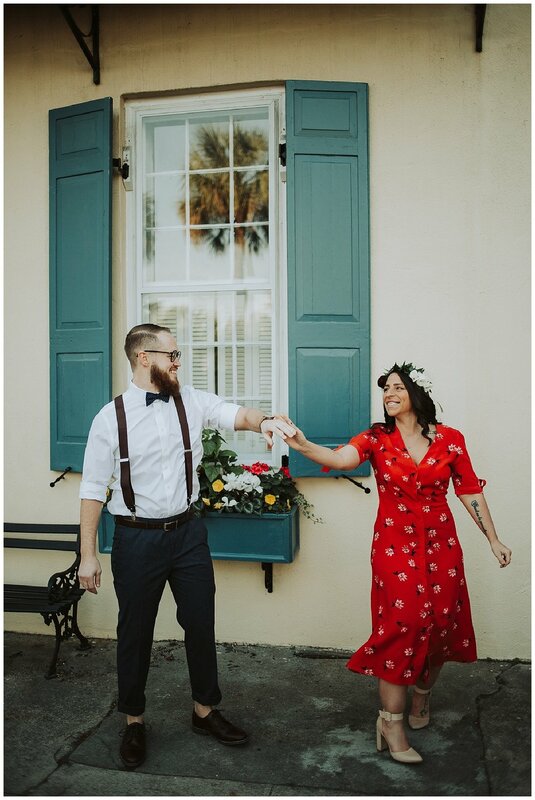 We met while working at the same resort in Orlando, Florida in 2015. In 2016 we started dating after confessing our interest in each other through text and social media. About a month prior, I had a dream about holding Klarissia while staring out at an ocean in a house full of windows. After that dream, I knew I wanted to be with her. Our first date was to the International Food and Wine festival at Disney World and not too long after we fell in love. A year later we travelled to California where I proposed to her on the ferris wheel at the Santa Monica pier at sunset. We enjoy spending time with our five, yes five, dogs and exploring the world together. I love her sense of humor, caring spirit, and authenticity. I love his smile, his way of making me laugh, and his genuine heart. 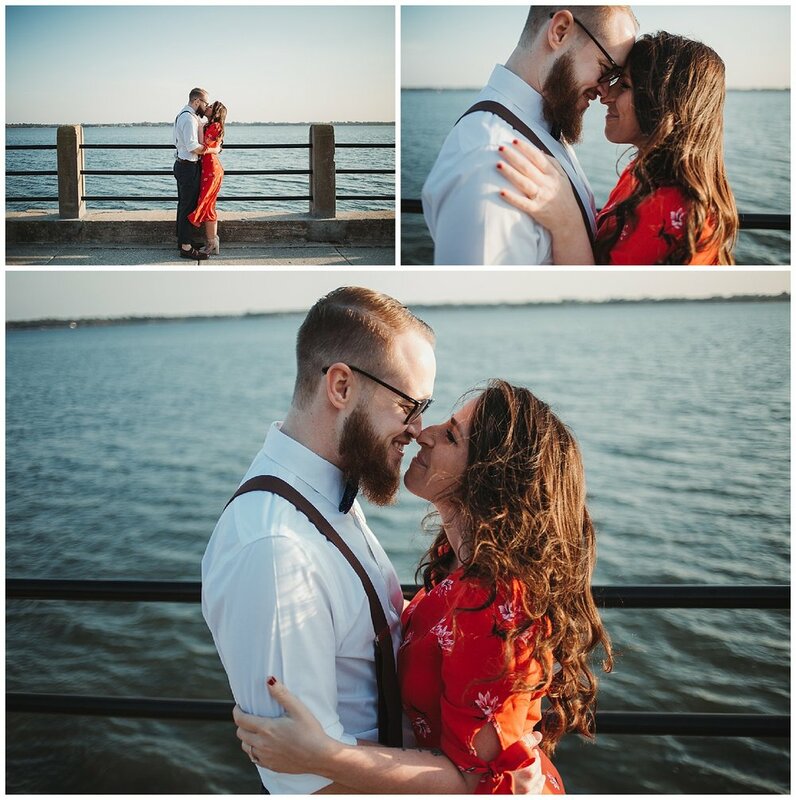 They get hitched April 2019 and I couldn't be more ecstatic to photograph their wedding day!! Thank you so much for traveling all the way from Florida to shoot with me. You two are a DREAM and it such an honor to be your wedding photographer. Dylan and Bridget are some of the kindest most genuine human beings you could ever meet. 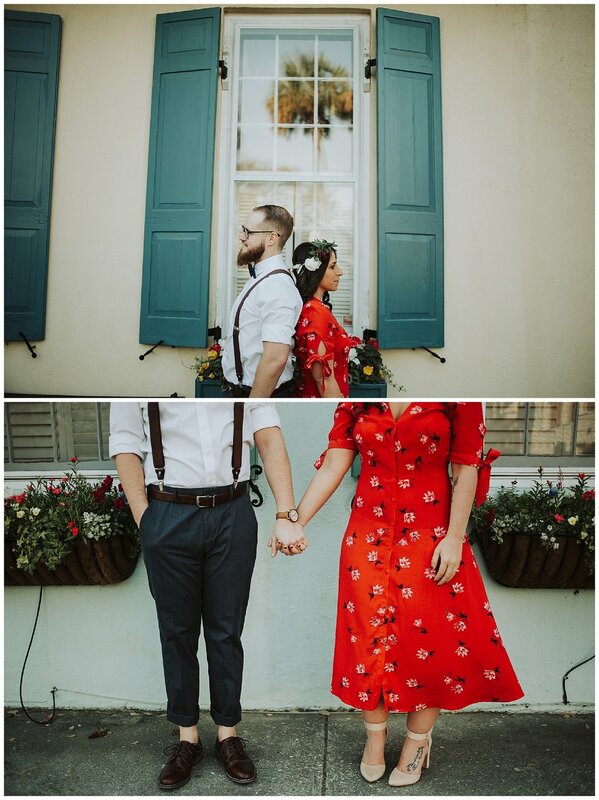 I was so ecstatic (still am) when they messaged me about booking me to be their wedding photographer. 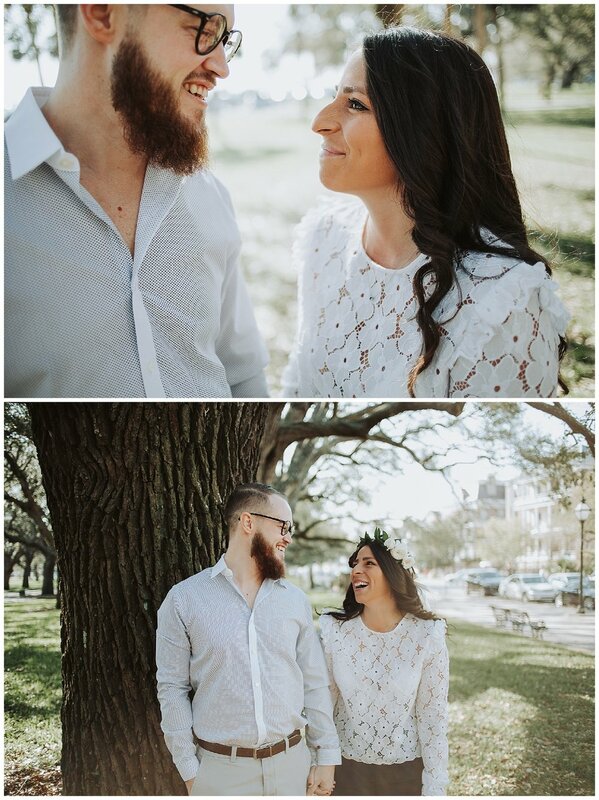 Their big day is this Friday and I am so PUMPED! Its going to be all things beautiful and amazing. These two love birds met while leading worship at Anderson Newspring, Bridget was back from the UK for about a month. Dylan had know about Bridget for several years prior, in fact he saw her the first time she led worship at the Anderson campus 4 years ago. Dylan is the kindest, most genuine person Bridget knows, he is constantly joyful and trusts fully in the Lord, there is nothing he wouldn't do for her. These two make a grand couple. 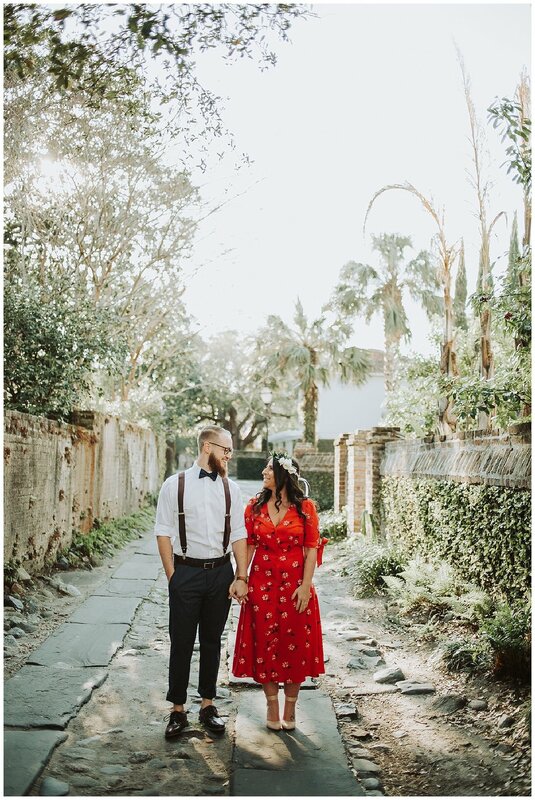 Their first date was in Charleston, SC, it included awkward moments, getting lost, perusing a used book store, drinking coffee, singing Led Zeppelin tunes and eating Moe's. Dylan surprised Bridget with a Valentines Day photoshoot on a week she came home to visit family, since they didn't have many pictures together considering they lived 4,000 miles apart. At the shoot Dylan got down on one knee in front of a little waterfall and asked Bridget to spend the rest of her life together with him. She obviously said yes and I could not be happier for them! These two can't wait to spend the rest of their lives together, travel the world, support each other in their goals and dreams, and make music together. 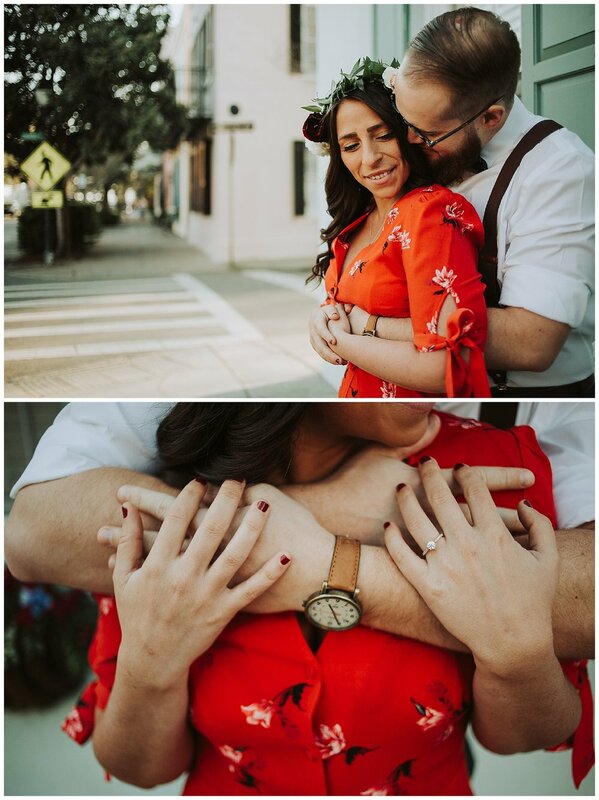 Here is their engagement session! 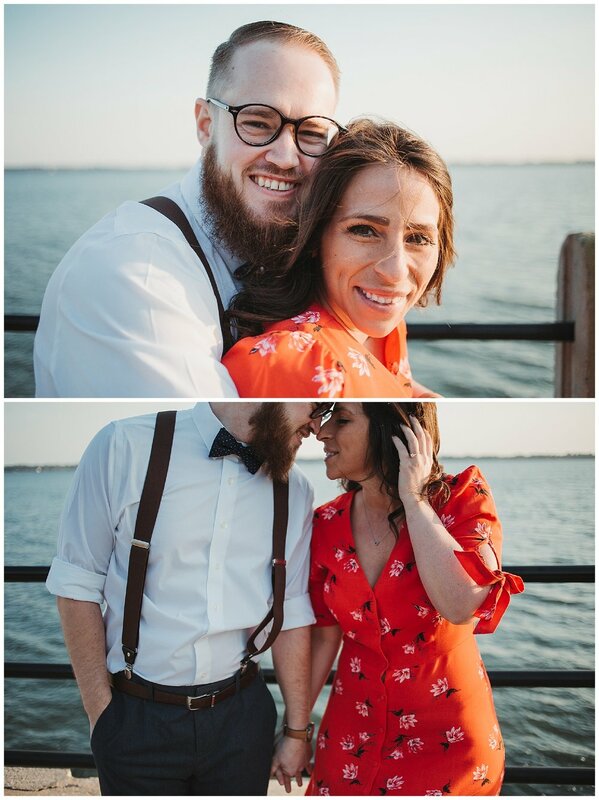 I teared up looking through these photos, the love they have for each other is very apparent. These two have shared lots of fun and adventurous memories together. Andrew realized he was in love with Mackenzie while on a trip to a camp in NYC, He got to see all the great things she had already told him about the camp and how passionate she was about the kids. He saw her do everything she could to help mentor them and he could see how much of a passionate, loving, kind, and caring person she was. He just knew he was going to spend the rest of his life with her. 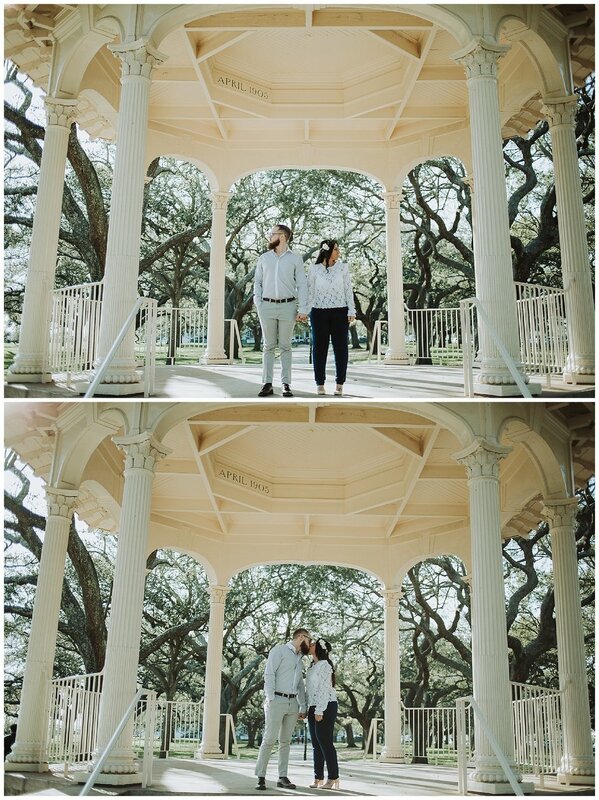 Andrew proposed to Mackenzie at Furman University during sunset beside the lake with their dogs! They look forward to doing life together forever, growing old and sitting on their front porch in their rocking chairs just talking about life. Their first Christmas, Their first flights as a married couple, and Their kids and grandkids! I love how much Andrew and Mackenzie love life. I believe this session represents that about them well.